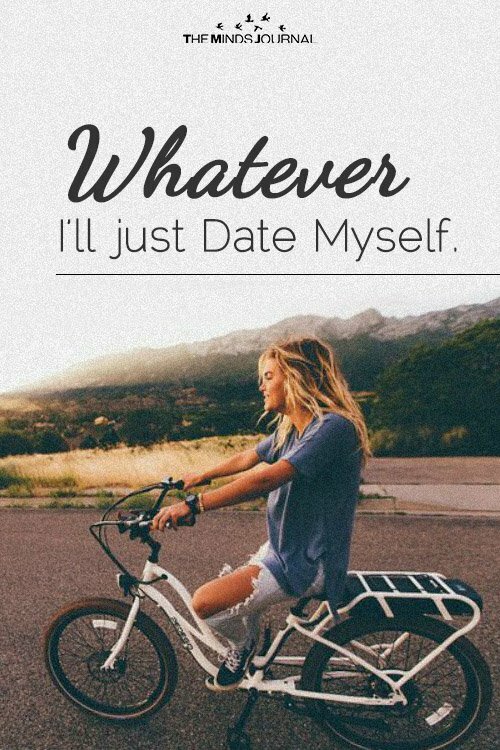 Whatever - I'll just Date Myself. I know what I believe in and I know what kind of love I am hoping for. And most importantly, I know what kind of woman I am. So, while I am single for now, I’m good with it. Because I know now that I don’t want just any man. I want a warrior, a golden hearted king among men, who will be regarded because of his intentions and loyalty, his morals and his courage. A man whose heart will be his greatest feature. This man will stand in awe of me, yet have no problem telling me when I am wrong. Because I know that I need an equal and until I get that I’m good being by myself. I’m good with taking myself out on dates and getting away for romantic weekends where I can enjoy my own company and dream about the man who I will share all of my memories with someday. There isn’t loneliness in dating myself—there’s peace because I am content in enjoying and living my life until someone comes along who wants to stake a claim in it for good. Someone who will be proud to claim me as his woman—a man who will see that my heart is my greatest feature too. And while my long hair may be soft against his bare chest, and my eyes may burn into his, it won’t be my physical features that he falls in love with. Because the man who decides to finally step to me will have fallen in love with my mind—even the darkest corners that I used to be scared to show. He’s going to be smitten by my eccentricities and my soul will take his breath away. The man who will someday decide that even though he can’t exactly picture what his life will be like with me, he won’t be able to picture his life without me. A man who will see that the only thing I can guarantee him is a love with a depth that he has never known. 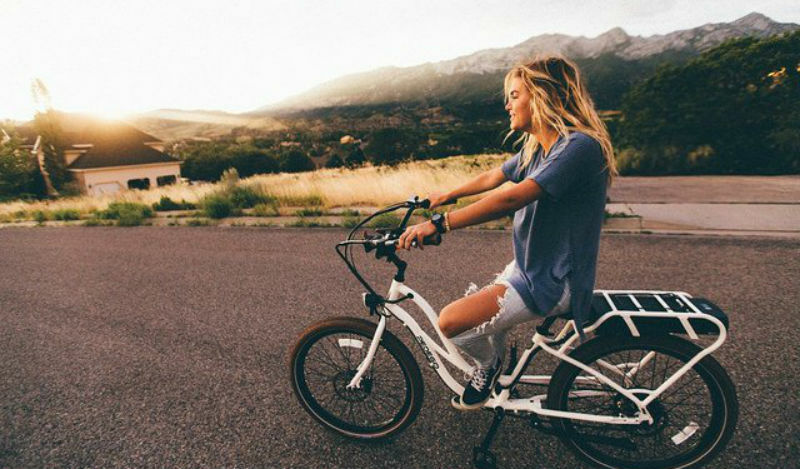 And I won’t be perfect or well behaved all of the time and it’s a guarantee that I will make mistakes. But, I will offer him a complete woman to complement his life—because now is when I am doing the work. I have spent time alone, dating myself and all of my amazingness. So, that one day—when a man finally steps to me with stars in his eyes and blatant intentions in his hands, my only choice will be to grasp a hold of him and hold on tight. But, until that happens—I have made the choice to stay true to my heart. Thank you! One of the most inspiring and beautiful articles I've read in a while. And reading this at 11:11 makes it even more 'special' if that word even comes close! The synchronicity of life. So agree. After forcing myself to go on many dates because it's what we are supposed to do and even pushing through relationships that never really worked it's clear to me that they are supposed to be something special. So until I find someone who thinks I am as perfect as my dogs do, I'm out. It's just not worth my time and I'm not looking either. True love is definitely out there which is why we have to wait for it rather than block it by choosing the wrong people. … always important to 'date' oneself… single or not!!!!!!!! !